My travelling studio and I spent a really enjoyable day yesterday at the 'Betchworth Bead-In', which is a fabulous event held annually in Surrey during National Beading Week. I so enjoy spending my working life in my workshop that I don't very often go out to sell my wares at bead fairs and events, preferring instead to spend time at the torch flame, selling my beads on Etsy and teaching others how to make beads of their own. 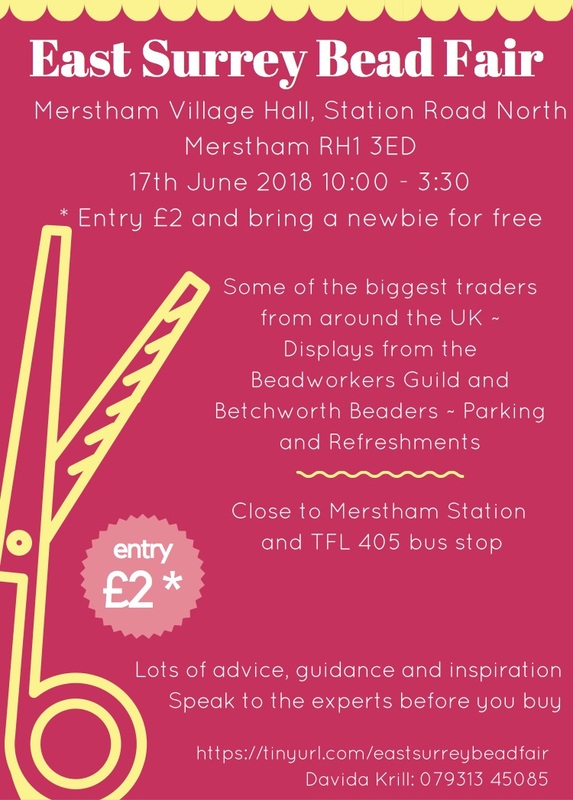 This is why I've so enjoyed taking part in the Betchworth event and indeed the inaugural East Surrey Bead Fair earlier this summer! It was great to catch up with old friends in the beading world and indeed make new ones - and yesterday I was able to remind myself that I haven't ever met a beader I don't like! That record still stands - LOL!!! My printing had been delivered in good time to be able to do some promotion of my two summer open studio events here at the workshop, as well as my new Journey into Beadmaking course which starts in the autumn. Demonstrating at the torch flame yesterday was a hot job thanks to this glorious summer weather, so I kept the demos brief, but I really appreciated the opportunity to show people the process involved in making glass beads one-by-one at the torch flame. This is a fabulous, fascinating, gorgeous yet time-consuming process that cannot be rushed! I take huge pleasure and pride in flame-shaping the 'little and round', spending time and effort in ensuring the beads are perfectly balanced with the hole directly in the centre every single time, and I love to spend time at the flame creating gorgeous and intricate designs of glass-on-glass. It was great to be able to give onlookers an insight into just what is involved to make every glass bead a work of art in itself. Visit the workshop in August and September as part of Artwave and CAOS! Fancy taking a journey with me? 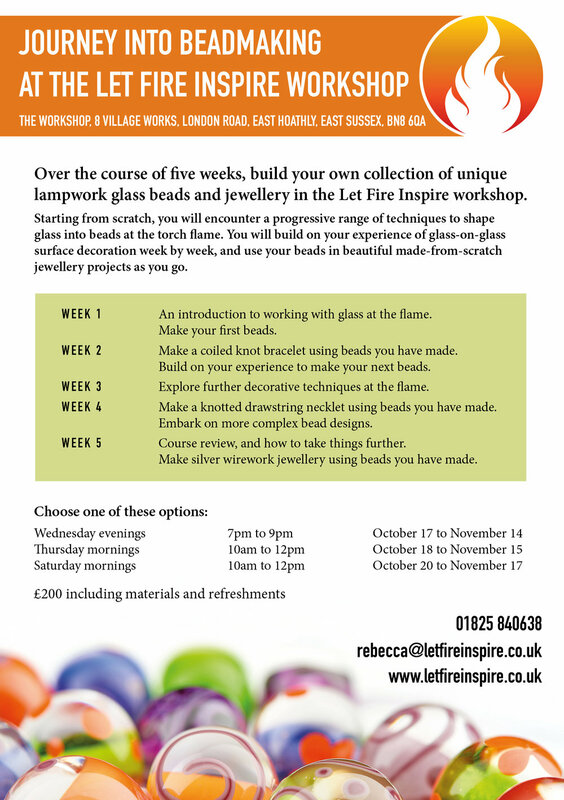 Let fire inspire on this fabulous course! 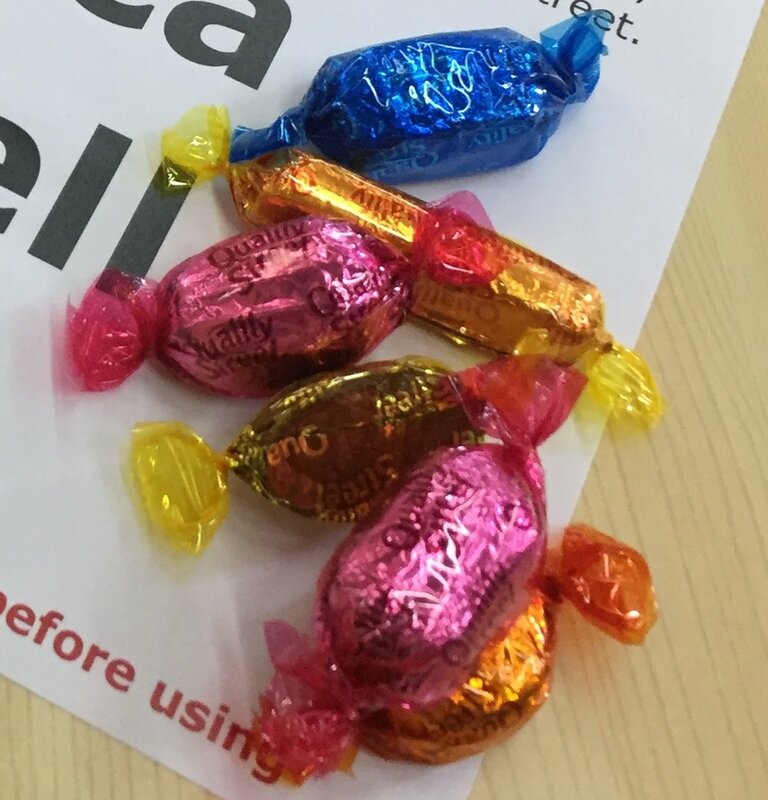 This year the Bead-In was raising money for Saying Goodbye, a charity which works to provide comprehensive information, advice, support and much more to anyone who has suffered the loss of a baby, at any stage of pregnancy, at birth or in infancy. The event raised over £350 for this very worthy cause.